Born on March 30th, 1934 in Humaitá, in Amazonas, the son of parents from Ceará, Raimundo Monteiro de Souza was raised Catholic. 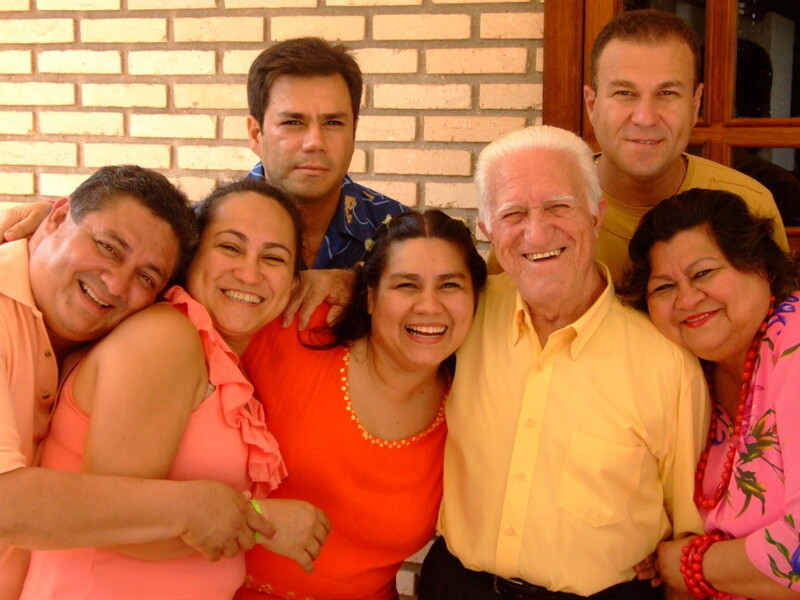 His family came to reside in Rondônia in 1949, and while still a teenager he began to work as an employee of the Federal Government in Porto Velho. He pursued a career as a public official. He became a professor, and later on occupied positions in the Public Administration, including the Ministry of the Environment, in Brasília. Click here to watch Mestre Monteiro’s testimonial on Youtube. He arrived in the UDV on September 4th, 1966, a little over a year after Mestre Gabriel, the founder and spiritual guide of the Beneficent Spiritist Center União do Vegetal, settled with his family in Porto Velho and began to institutionally organize and structure the religious society that was created in 1961 in order to promote peace and human fraternity. Since his first contact with the União do Vegetal, in his first session, he recognized that he had arrived in the place where he could find the spiritual knowledge that he searched for so intently. After that a commitment to the objectives of the UDV was born in his heart, and Mestre Monteiro became one of the most active figures in the expansion of the UDV, nationally and internationally. 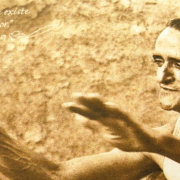 On numerous memorable occasions in the history of the Center, alongside other companions on the journey that were also connected to the origins of the UDV, Mestre Monteiro’s participation has stood out. Many times he has been at the forefront of the public defense of the União do Vegetal in the face of difficulties imposed by some authorities’ lack of knowledge of in relation to the Hoasca tea and to the true meaning of the existence of the UDV. During the 1970’s, he personally put his position as a public official at risk when he sued the Brazilian government to guarantee freedom of religion for the followers of the União do Vegetal. He played a decisive role in the movement of the UDV’s General headquarters from Porto Velho to Brasília in 1982. Over 10 years later, he gave a decisive testimony to the Supreme Court of the United States as part of the long legal process that resulted in the liberation of the use of the Hoasca tea in religious rituals in the country. Throughout so many years of voluntary service, Mestre Monteiro has been one of the main individuals responsible for the administrative structuring of the UDV, including the formation of Associação Novo Encanto de Desenvolvimento Ecológico (New Enchantment Association for Ecological Development), of which he is an honorary president. At home, Mestre Monteiro is a dedicated father. 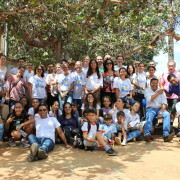 He and his wife, Mrs. Zilda Felícia da Costa Monteiro de Souza, Conselheira Zildinha, have raised eight children. A man of simple habits, a wide smile, and traditional moral principles, Mestre Monteiro has occupied the place of General Representative Mestre of the UDV five times, the highest hierarchical degree of the institution that he helped to found. One of the planters of the seed in which he trusted, which he has helped care for as a dedicated gardener. He accompanied the germination and the emergence of the first, still fragile, roots, and today he sees the União do Vegetal growing slowly but surely, becoming a tree, maintaining himself faithful to the moral precepts and spiritual teachings transmitted by Mestre Gabriel. In formal settings, such as those where he went to receive various titles of honorary citizen with which he was graced, or in daily interactions with his brothers and sisters in faith, Mestre Monteiro continues doing his part and showing his personal example of tenacity and trust in the mission of the UDV. Just like Mestre Gabriel, who imprinted love for the União do Vegetal in his [M. Monteiro’s] heart, professor Monteiro does the same thing in all of the nucleos of the União do Vegetal in Brazil and abroad. A captivating, positive man. And above all, a loving father who arrives at 82 years of age smiling at life. *Central Mestre of 3rd Region of the Centro Espírita Beneficente União do Vegetal.